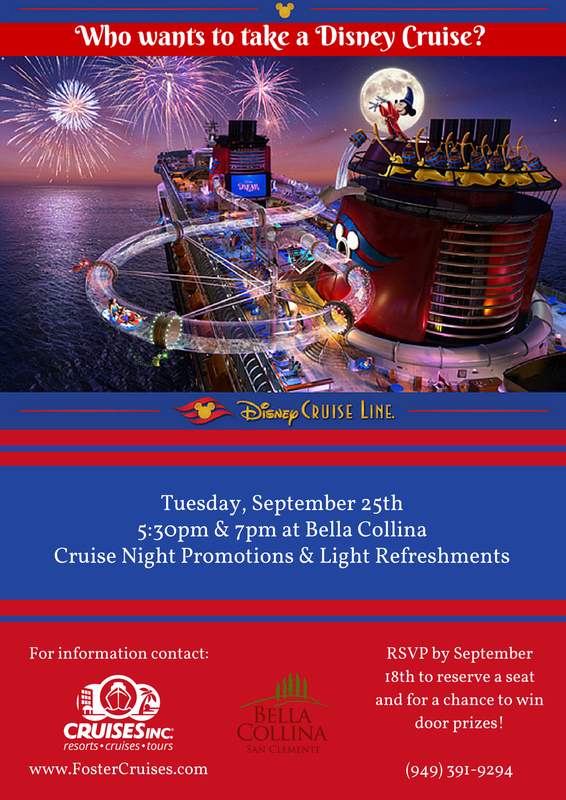 Join us for a fun evening learning about Disney Cruise Line in San Clemente. There will be two presentations (both the same), one at 5:30pm and the other at 7pm. We will have exciting door prizes and exclusive Disney Cruise Night offers. Reserve a seat-space is limited.